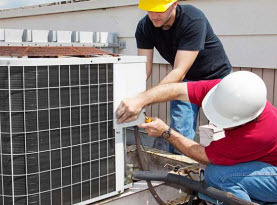 Ambient Heating and Air Conditioning is a full service HVAC contractor, completely certified, licensed, and insured to offer our professional expertise to commercial business owners and residential homeowners throughout Hampshire and Hamden County, Massachusetts. Since 2003 we have been upholding high moral standards, applying exceptional work ethics and friendly customer service and execute superior workmanship on all services we provide on a consistent basis. Our technicians have advanced training, years of experience, and remarkable skills that more than qualify them to take on any task associated with our services. 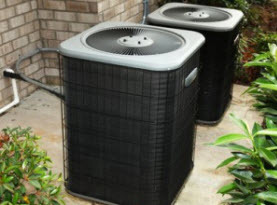 In addition to having the leading professionals in the field, Ambient Heating and Air Conditioning utilizes high-end products and equipment exclusively sold to licensed professionals to ensure our customers receive nothing less than premium results. 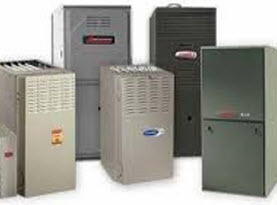 Ambient Heating and Air Conditioning offers commercial and residential properties our boiler installation services. There is much to consider when getting a boiler installed and in the event you acquire your boiler without professional assistance, for your personal safety and to preserve your property it is essential you allow a trained professional to perform the installation. 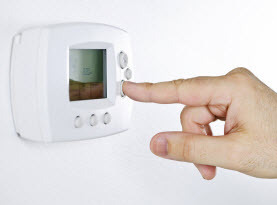 Ambient Heating and Air Conditioning can help you select the right boiler for the job and at the very least, get it installed quickly and efficiently. Knowing whether or not your commercial or residential boiler in the Hampshire and Hamden County, Massachusetts could be repaired or needs replacing, we have included what you might notice when it comes time to replace your boiler. 1. Boiler Age. If your furnace is 16-20 years of old you need to acknowledge it is reaching the end of its lifespan, and you should start shopping around for a replacement. If your boiler has had annual maintenance visits from a professional, and was kept in prime condition, the boiler’s years could be extended by a few. 2. Unusually High Electric or Gas Bill. If you have noticed in recent seasons your energy bills have steadily raised with no explanation, the boiler is more than likely the culprit. As boilers lose their efficiency their energy consumption increases. As you shop around for a new boiler, opting to replace the boiler with one of increased energy efficiency is more cost effective, saving you money in the long run. 3. Frequent Boiler Repairs. When boilers begin requiring repairs, they become more and more frequent when the boiler is nearing the end of its lifespan. As the repairs increase so do the seriousness of the repairs. The more repairs that occur the more likely that boiler will simply will not be able to function at peak performance. Instead of investing in repairs that will end up being fruitless, it would be better to use the funds to purchase a new boiler and have Ambient Heating and Air Conditioning get the installation done proficiently. 4. Loud Boiler Noises. If loud or obnoxious noises are emitting from your boiler, it is a sign of serious repairs, and replacing your boiler might be the better option. If you need a boiler installed in Hampshire and Hamden County, Massachusetts contact Ambient Heating and Air Conditioning and let us do the rest!